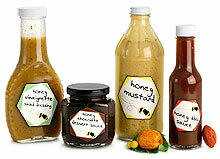 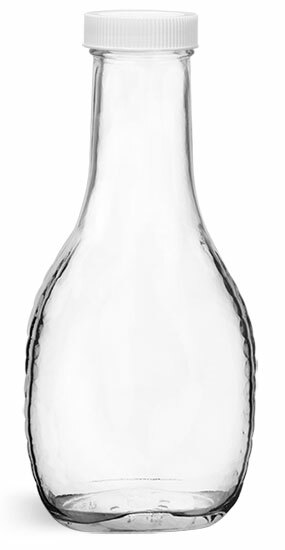 The clear glass salad dressing bottles come with continuous thread white heavy weight PE lined caps. These glass salad dressing bottles are sold in cases of 12. 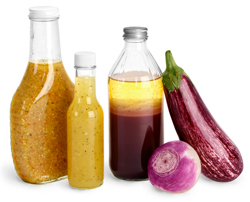 Try adding a shrink band to these traditional glass salad dressing bottles making them tamper evident and offering added protection to the consumer.